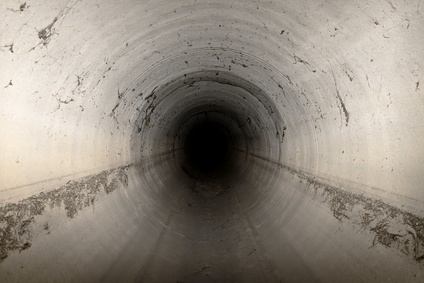 Sewer and drain cleaning is our specialty! There are a variety of sewer or drain line issues that can cause a blockage and a number of ways to diagnose the source of the problem as well as solving the problem. Before performing the sewer cleaning, we must first determine which fixture or floor drain is blocked. 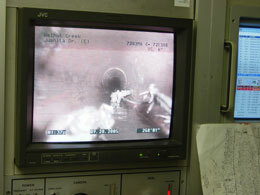 Sewer and drain cleaning needs to be done through an access called a cleanout. Typically, the cleanout will be outside the home, allowing for easier access and less disruption to your home. Sometimes a second technician is needed to perform a sewer rodding service. Electric sewer rodding can be physically demanding and some sewer pipe cleanouts may require more experienced hands to control the equipment, avoid injuries and protect the property from damage. The head of the sewer rodding cable has many sharp blades that are needed to be able to cut through tough blockages like tree roots and thick mud. Some sewer cleaning jobs are going to more demanding than other depending on where the clog is. Keep in mind that in most cases homeowners are responsible for the sewer line from the street to home, so there may be a backed up sewer far from your home. A sewer camera inspection can help pinpoint where the blockage is and if the sewer line may be blocked for other reasons like a collapse or break in the sewer pipe.